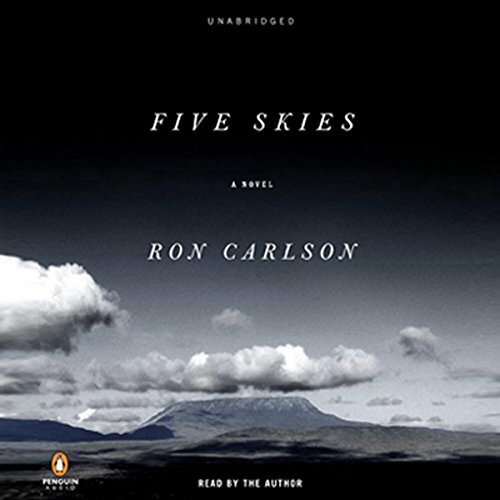 Showing results by narrator "Ron Carlson"
Five Skies is the story of three men gathered high in the Rocky Mountains for a construction project. Having participated in a spectacular betrayal in Los Angeles, the giant, silent Arthur Key drifts into work as a carpenter in southern Idaho. There he is hired, along with the shiftless and charming Ronnie Panelli, to build a stunt ramp beside a cavernous void. The two will be led by Darwin Gallegos, the foreman of the local ranch, who is filled with a primeval rage at God, at man, at life.